My daughter, Hannah Jaccard, recently had an assignment at school. 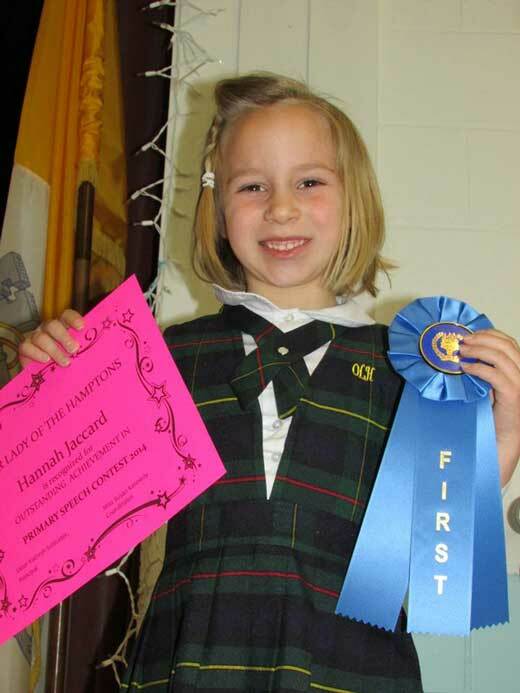 The assignment was given to all students at the school, and kindergarteners and first graders got to choose between two topics – “What I want to be when I grow up” and “If toys could talk.” Hannah chose to write about what she wanted to be when she grows up. When we sat down to write her speech, it was very clear what she wanted to be when she grows up and she wrote her speech about Dr. Shaer. She said she wanted to be Dr. Shaer but on a cruise ship because she likes going on vacation. Hannah wrote her speech and practiced every day. She made her class finals and went before her entire school to compete. She was 1 of five kindergarteners with 5 other first graders who competed against each other. Well, she WON FIRST PLACE! She took the blue ribbon and had such a great feeling of accomplishment. It was one of the greatest days of her life and it all started with you, Dr. Shaer. Thank you for all that you have done for our family from the easy wellness visits to our emergency calls. You are a wonderful doctor and have the best staff too! Thank you for giving my daughter something to dream about and for always being there when we need you! Good morning, my name is Hannah Jaccard and when I grow up I want to be a doctor on a cruise ship. It’s really fun to go on a cruise ship and I like to help people. I like my doctor because she always lets me use her stethoscope to hear my heart beat.